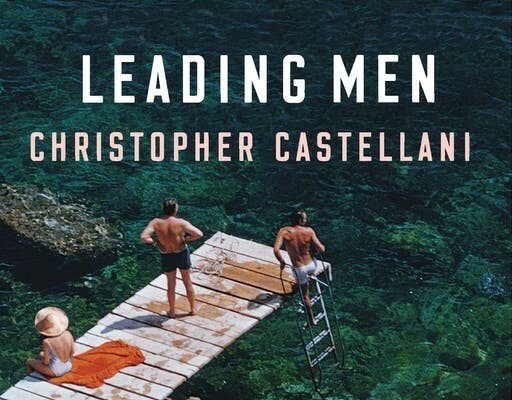 With one foot in historical fact and one foot beautifully in fiction, Christopher Castellini vividly reimagines one of the most fascinating partnerships of the gay literary world. 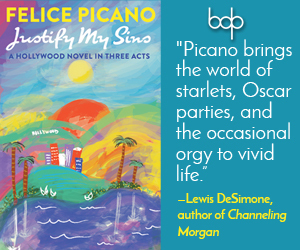 The author has created a compelling narrative about the bonds of love and affection between two men: the playwright Tennessee Williams and his partner, the often overshadowed, Frank Merlo. Merlo, beloved by those closest to the celebrated Williams, still lived mostly in the playwright’s shadow. His own ambitions as an actor and dancer thwarted, Merlo functioned as William’s assistant, always getting the couple where they needed to be when they needed to be there. Leading Men is an accounting of Merlo’s time with Williams, a working-class man from New Jersey thrust onto the international stage of the mid-century’s jet set. The novel opens in Portofino—one of the small, picturesque Italian resorts where the elite from the world of the arts, leaders of industry, and stars of the international film scene docked their yachts and gathered for pleasure by the seaside. Castellani captures this rarefied world at its louche heights. Everyone has descended on Portofino for a party thrown by Truman Capote, a friend and rival of Williams. Also introduced is the character Anja, a beautiful Swede of sixteen on the cusp of becoming a great actress. She and her ersatz mother befriend Merlo and Williams. Likewise, the mother and daughter meet another gay American author, John Horne (‘Jack’) Burns, and his lover, Sandro Nencini. All six are the victims of a mob of young vagrants intent on sexually assaulting the young Anja, a tragic incident, that they all carry in secret, until Williams writes of it as a plot device in one of his plays. But it’s Anja and Frank who remain most central to the book’s narrative as the timeline slips back and forth from the contemporary life of an elderly Anja, the early death of Merlo in the 1960s, and the height of William’s and Frank’s fifteen-year relationship in the 1950s. A major plot point centers on Anja, in the sunset of her years, holding on to a legacy passed to her by Williams shortly before his death; it’s a final play dedicated to Merlo. 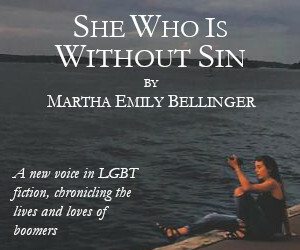 The play was written in Williams’ decline, and she’s not sure of its artistic value; however, the young son of Jack Burn’s Italian lover, himself gay, finds her. An unlikely friendship blooms between the elderly and reclusive actress and the star-struck young medical student. Leading Men is a finely-rendered narrative based upon some of the twentieth century’s most compelling artistic figures. It is broad in scope and lush in detail, without every tipping into sentimentality. It is a love story between two men—two men who existed in a rarefied world that accepted this relationship without judgment, at a time when the world-at-large most certainly did. The novel is also a fascinating examination of the early years of international celebrity culture. From Rome to Portofino, 1950s Italy comes to life again with its evocative landscapes and endless pleasures. Real life characters like Paul Bowles and Anna Magnani breathe again in theses pages, bringing back a time when to be famous was often coupled with great accomplishment. The novel is a compassionate snapshot of a bygone era and a beautiful, if tragic, story of love and remembrance. Always enjoy John Francis Leonard’s reviews. Very excited to read Castellani’s “Leading Men.” Ever since seeing an exhibit on Tennessee Williams at The Morgan Library about a year ago, I’ve had renewed interest in Frank Merlo, his partner, and in the great playwright’s love life; especially during Tennessee’s days roaming the world with the last century’s jet set. It is such imaginatively rich territory to cover and explore, especially in regards to tragic gay icons as Williams and Capote.